"Mulinegg" with the mystical entrance to the little paradise. Here you agree on peace and quiet again, because traffic and hectic do not exist here. Your eye sees only the vastness and a 180 ° view of Lake Maggiore. 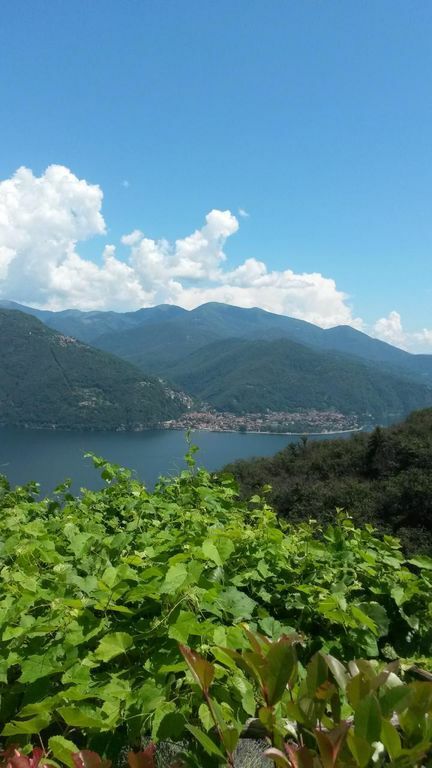 The advertised accommodation is located above Cannobio. From Cannobio you drive 10 minutes by car - somewhat adventurous - and then you will enjoy an incredible panorama, the absolute silence, the nature and the silence. Here in this unique paradise place you will find many hours and moments of rest, leisure and serenity. It is a small house with a fantastic view, which you can fully enjoy with breakfast on your own terrace. In the basement is the bedroom and bathroom. In the upper area the living / dining room and the cupboard kitchen, in which you will find everything to really enjoy the time. The ideal place for individualists or people who want to turn their back on the hype to find peace and to charge the batteries. - Not suitable for laid down vehicles. - Final cleaning: once per object costs in the amount of 120 EUR (compulsory). - Bed linen: to rent once per person for 12 EUR (compulsory). - Pet: per object and day costs of 20 EUR (compulsory). - Local tax / tourist tax: per person and day costs of EUR 1 (mandatory).